Audio Hijack is the perfect tool to record any audio on your computer. With Audio Hijack, you can quickly and easily save audio from almost any application to an AIFF file. This file can then be burned to a CD, or played in any software audio player like iTunes or any hardware audio player like an iPod. Have you ever wanted a simple, complete, bootable backup of your hard drive? Have you ever wanted to upgrade to a larger hard drive with minimal hassle and without reinstalling your OS and all of your applications? 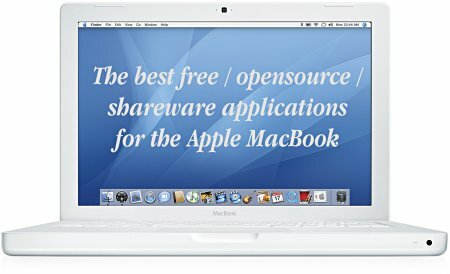 Have you ever wanted to move your entire Mac OS X installation to a new computer? Then CCC is the tool for you! coconutBattery isn’t just a tool which shows you only the current charge of your battery – it also shows you the current maximum capacity of it in relation to the original capacity your battery had as it left the factory. Delibar is a del.icio.us client for Mac OS X.
DrScheme is an interactive, integrated, graphical programming environment for the Scheme, MzScheme, and MrEd programming languages. Trying to migrate my old messages from Eudora to Apple Mail, I noticed that most of the information got lost or mangled in the process (all messages show up as unread, attachments get lost, non-ASCII character show up incorrect, HTML messages display as code instead of formatted text, â€¦). Since I was not satisfied with this partial import, I wrote ‘Eudora Mailbox Cleaner’ which corrects all these issues. I later realized that problems are more widespread and added additional features to the application in order to support more email clients. You are not using your windows ? Fenetres Volantes make them fly ! After some idle time that can be set in the System Preferences, the windows take off the screen and flutter in the void. On a mouse move, the windows immediately come back and stuck to their original position. The Fink Team wants to bring the full world of Unix Open Source software to Darwin and Mac OS X.
Fugu is a secure file transfer program for Macintosh OS X.
iClip is a new multiple clipboard/scrapbook software application for Apple Macintosh computers with OS X.
Stroke your messages. Plug into Apple’s Mail.app to attach keystrokes to mail rules. Apply rules based on message criteria. Apply multiple rules simultaneously. Build sophisticated systems for efficient control of your mail. Integrate with MailTags for complete email management. Add keyword, projects, priorities, due dates and notes to your email in Mail.app. MenuMeters is a set of CPU, memory, disk, and network monitoring tools for MacOS X. Although there are numerous other programs which do the same thing, none had quite the feature set I was looking for. Most were windows that sat in a corner or on the desktop, which are inevitably obscured by document windows on a PowerBook’s small screen. Those monitors which used the menubar mostly used the NSStatusItem API, which has the annoying tendency to totally reorder my menubar on every login. MySQL 5.0 Community Edition is a freely downloadable version of the world’s most popular open source database. It is supported by a huge and active community of open source developers and enthusiasts. Configure your own shortcuts to search or visit your favorite sites using just a few simple keystrokes in Safari. Sogudi comes with several shortcuts included that allow you to search sites without waiting for their home pages to load, saving you time and effort. Squeak is highly portable open-source Smalltalk with powerful multimedia facilities. Squeak is the vehicle of a wide range of projects, ranging from educational platforms to commercial web application development. SuperDuper is the wildly acclaimed program that makes recovery painless, because it makes creating a fully bootable backup painless. Its incredibly clear, friendly interface is understandable, easy to use, and SuperDuper’s built-in scheduler makes it trivial to back up automatically. And it runs beautifully on both Intel and Power PC Macs! that’s quite an extensive list for only ‘some’ of the best apps :) . btw, is the Mac really THAT good to be worth the price you’re paying for it? 63k? And yes the Mac is a fantastic computer and I’ve decided (after years and years of hesitation) to buy one. To be frank, it’s relatively expensive in Mauritius because of (i) the VAT at 15% and (ii) the (legitimate) profit that LCI is making (about Rs. 8500). In the US, the price is $1449 (for a 2.0GHz white MacBook with SuperDrive / 1Gb RAM / 80Gb HD) which seems expensive until you realise that it has a built-in video camera, full wireless capabilities (Infrared / Bluetooth / Wi-Fi), Gigabit Ethernet, a best-of-class operating system and user interface and the iLife suite. It adds an menu to your bar for running maintenance scripts, cleaning system caches, rebuilding Spolight indexes, repairing disc permissions, relauching the Finder and Dock, etc…Very well designed. Simple and uncluttered interface. I’ve tried Skim and I like it (even though it is sometimes a little bit unstable). I am including it in the list.